Sam got in touch wanting a fresh new look for his Wedding Photography business, as the current brand was no longer reflecting his personality, aesthetic or style. 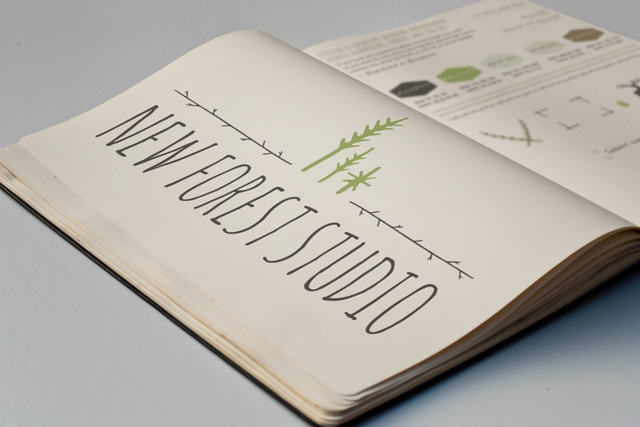 After exploring several different options we arrived at this design with a trio of stylised New Forest pines, paired with a hand-lettered typeface. The end result was a clean-cut contemporary logo in woody colours, with a set of complementary design elements and fonts, ensuring the brand design can be easily carried throughout everything Sam produces. Hopefully this swatch will go some way to filling that gap! We’ve painstakingly replicated the 2011 colour range from everyone’s favourite heritage paint manufacturer, the oh-so distinguished Farrow & Ball. Each colour has been sampled (in RGB so perfect for screen use! ), labelled with the corresponding paint name, and bundled up as an ASE (Adobe Swatch Exchange) for you to use in the CS application of your choice.